Call for Applications – MORPHOS Fulldome Artist in Residence – 2015 Denver. This program is for artists interested in experimenting and exploring 360° immersive digital art through digital dome (aka fulldome). Artists will receive hands on training in fulldome and VR, weekly dome time, individual consultation, production support, and two public presentations of their experience at the end of the residency. The MORPHOS International Artist in Residence will run June 1 – 30, 2015 and be held in Fort Collins and Denver, Colorado. Recent advances in technology are rapidly changing the way in which we view digital media. Immersive media allows the audience to a multisensory experience. Fulldome offers a unique group immersive experience with it’s immersive half sphere screen, high resolution digital projections systems, and surround sound. With recent innovations that allow for easy drag and drag playback, live VJing, interactivity, and gaming, the virtually untapped possibilities in the digital dome are endless. Artists will also receive training in Virtual Reality, which is entering the consumer market with high refresh rates that allow for individual full spherical 360° immersive experiences. VR also offers online distribution for easy self dissemination. 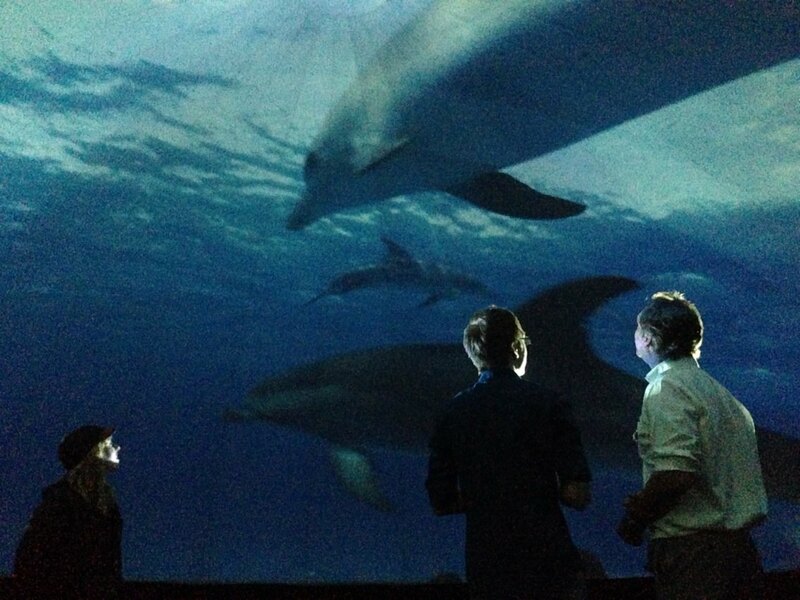 Join us on the forefront of this Immersive digital media revolution with this one of a kind fulldome experience. This residency takes place in state of the art facilities with the latest in fulldome technology. The multi projector system displaying a seamless 360-degree image and surround sound. The MORPHOS support team are industry leaders who specialize in immersive art, interactive installation design, 360° immersive production tools on a budget, dome installation, and show production. Denver is a beautiful city with a booming creative tech industry, growing millennial population, active contemporary art scene, and creative entrepreneurship. Denver is a vibrant and energetic place to spend the month of June while embarking on the new and exciting medium of the immersive digital media art. Artists will enjoy everything Denver has to offer with active arts and culture, a booming nightlife, and outdoor sports offerings. Fort Collins Museum of Discovery is just North of Denver and will serve as our major sponsors and host for the training and one public event. Fort Collins is an active college town with plenty of brew pubs, access to nature, an old town district, botanic gardens and shopping. Artists’ work will be created using the latest technology in immersive design. Each artist will receive an Artist Production Kit which includes a VR headset and a pre-visualization application to view work on your own computer. We will use the latest in dome server technology with an easy to use high resolution art server which allows for interactive design (VJing, sensor input, gaming display, etc). Each artists will bring their own workstation and have their own software and equipment for creating their work. Artists will be creating 4k x 4k image files and rendering computer will be available for use. Ethan Bach is the CEO of BETA LLC, an artist, curator, and producer. He created MORPHOS Artist in Residence program to assist artists in understanding and exploring the medium of immersive digital interactive spaces. Bach served as Principal Investigator for a DoD grant developing interactivity for fulldome (which resulted in the open source dome server software, vDome) and as research associate for an NSF grant developing tools and content for fulldome environments. He writes and maintains the Art & Emerging Technology blog. Bach holds an MFA from Rensselaer Polytechnic Institute in Electronic Arts and is internationally recognized for his digital art which is primarily in immersive and interactive media. Bach’s artistic expertise in experimental media won him awards from the Santa Fe Arts Commission, New Mexico Film Visions, and New Mexico Art in Public Spaces. Timmy Edens, Dome Production Assistant. Timmy Edens is CEO of Domemasters and holds a BFA in Digital Design from UCD. Domemasters provides production services, installation, and a foundation for artists to take their vision and expressions from a normally flat surface into an immersive dome experience. Timmy has worked on projects such as BellaGaia and Audi dome in Denver Airport. Timmy also works providing visuals and VJing for events. All artists must provide their own transportation and housing for Denver. The artist in residence is a $22,500 value for each artist. Due to the high cost of this high specialized tech artist in residence program, each artist is expected to help support the cost. Past artists were able to raise funds via online crowd source funding. Individual Artist: $3,500 (includes one production kit). Groups Applicants: $3,500 first artist and $1,500 each additional Artists. (This includes one production kit for the group). For information on applying to the MORPHOS digital dome artist in residence program, go to http://goo.gl/forms/ADpDZWddkY . Deadline for application is February 13, 2015 (notification by February 28). 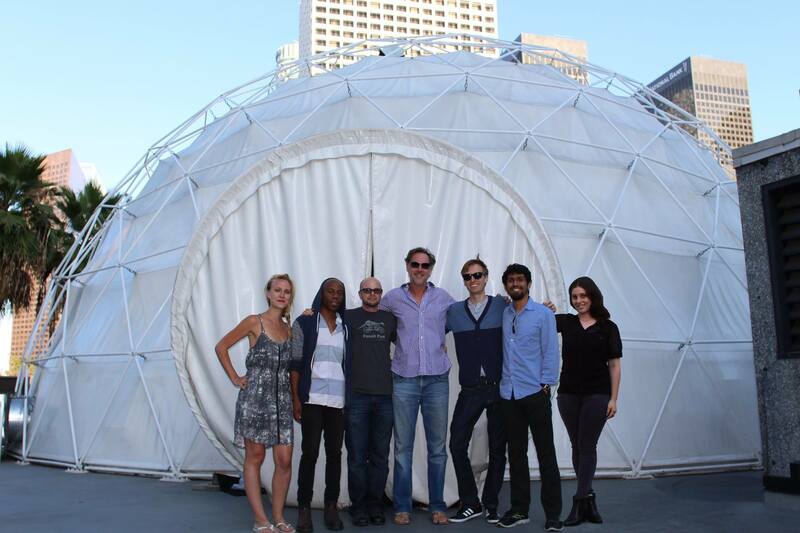 5 out of 5 artists who participated in the MORPHOS Artist in Residence – 2014 Los Angeles state that they would absolutely continue their work in fulldome. 4 out of 5 artists had no previous experience creating for fulldome.